Many people advocate for the consumption of organic products because of the use of pesticides in conventional farming practices. However, when it comes to both milk and meat, the health benefits you receive from choosing organic may be just as significant as the risks you avoid. There’s a lot of debate and discussion surrounding conventional versus organic practices specifically related to milk and meat. So a team of experts at Newcastle University in the UK recently conducted a large review study to assess the benefits of organic dairy and meat products. This was the largest review study conducted on this topic to date. The team analyzed a whopping 196 papers on milk and 67 papers on meat published around the world. What they found was unequivocal: not only does consuming organic meat and milk help us avoid dangerous chemicals, it also provides us with more essential fatty acids, minerals, and antioxidants. You probably know that you should be consuming omega-3 fatty acids. They’re vital to avoiding cardiovascular disease and promoting neurological and immune function. 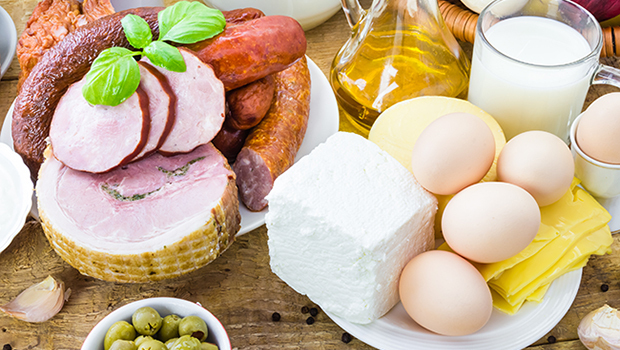 But you may never have thought of milk and meat as a source of these nutrients. That’s because conventionally raised meat and milk are pretty low in omega-3s. But organically raised products provide a lot more. But there’s an even better reason to make the switch from conventional to organic. You can increase your omega-3 intake without consuming any more calories or saturated fat, since the two types of product don’t differ in these areas. You’ll also get a better omega-3/omega-6 ratio and more vitamin E and carotenoids by choosing organic milk. Organic standards require that cattle be allowed to happily graze outside and put strict regulations around their feed, which benefits the fat profiles and micronutrients of the milk. The review study found that not only was the fat profile better in organic dairy, the products also reduced the risk of a number of diseases, including eczema in babies. The researchers concluded that this is the result not only of the beneficial omega-3s, but also the absence of more harmful forms of fatty acids. Mastitis is a common and costly production disease on dairy farms. A recent Canadian study found that cows on conventional farms were far more susceptible to this disease from bacteria such as Staph. aureus, Bacillus spp., and E. coli than were cows on organic farms. In addition, over the last century, intakes of omega-6 fatty acids in Western diets have dramatically increased, while omega-3 intakes have fallen. The resulting ratio between omega-6 and omega-3 intake has risen to nutritionally undesirable levels. Most people are getting 10 to 15 times as much omega-6 as omega-3. The optimal ratio is closer to 2.3 times as much omega-6. In the largest U.S. report of fatty acids in organic and conventional milk, organic milk contained 25% less omega-6 fatty acids and 62% more omega-3 fatty acids than conventional milk. This yielded a 2.5-fold higher omega-6/omega-3 ratio in conventional compared to organic milk (5.77 vs. 2.28). Reducing the ratio of omega-6 to omega-3 in our diets also reduces probable risk factors for a wide range of chronic health problems. This study builds on previous research that found that organic crops can be up to 60% higher in key antioxidants than their conventional counterparts. I know that organic foods can be expensive. But the more we discover about their advantages, the more they seem to become worth the extra money. Organic dairy isn’t nearly as expensive as cardiovascular disease treatment. And purchasing organic products over conventional sends a clear message that we want products that promote, not hurt, our health. Carlo Leifert et al. Higher PUFA and omega-3 PUFA, CLA, a-tocopherol and iron, but lower iodine and selenium concentrations in organic bovine milk: A systematic literature review and meta- and redundancy analysis. British Journal of Nutrition, February 2016. Carlo Leifert et al. Composition differences between organic and conventional meat; a systematic literature review and meta-analysis. British Journal of Nutrition, February 2016.